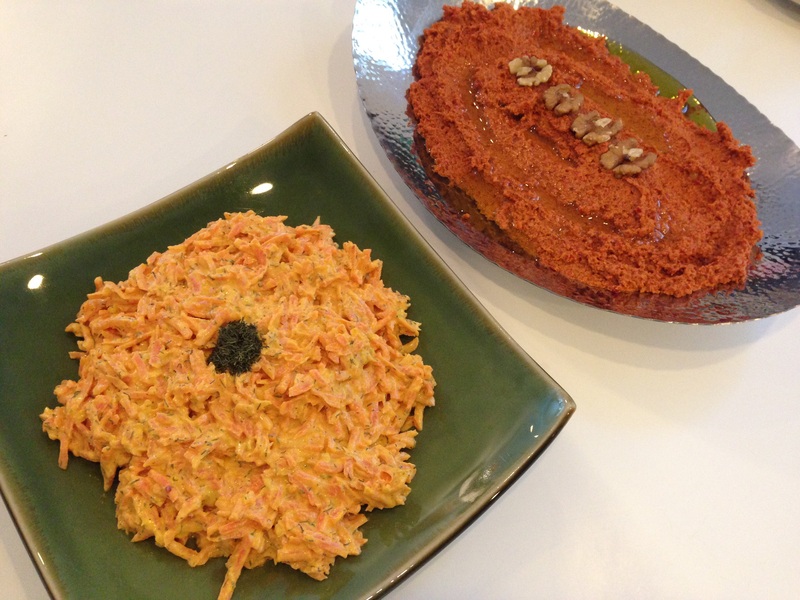 My carrot spread and muhammara are perfect appetizers for when guests come over. Let’s start with the carrot spread. 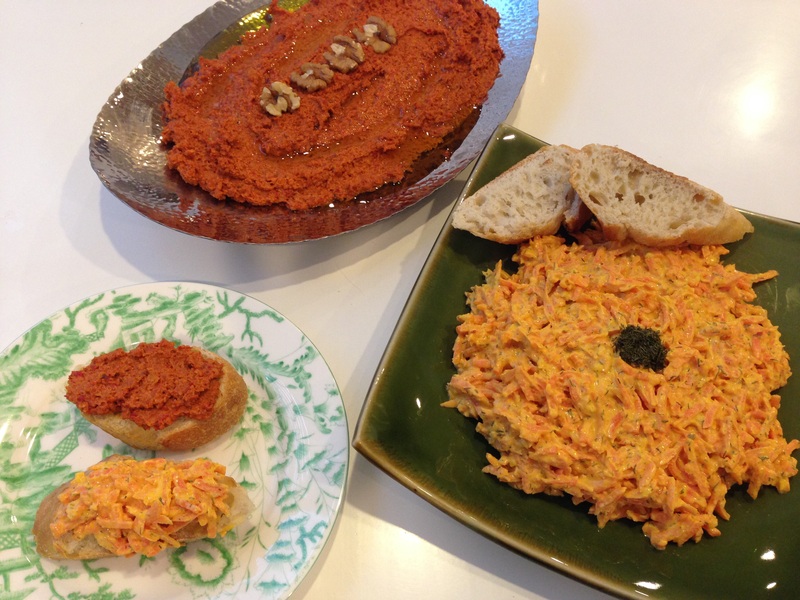 My mother in-law makes this Turkish spread, or a version of it, that instantly took me back to a carrot salad I would often order at my favorite Russian restaurant in Beijing’s Yabaolu area. I would spread it on dark rye bread and greedily eat most of it! I like the flavors because you get sweetness from the carrots and sourness and creaminess from the yogurt and mayonnaise. Garlic completes the dish and is a must. It’s super easy to make and only requires about 10 minutes active time. 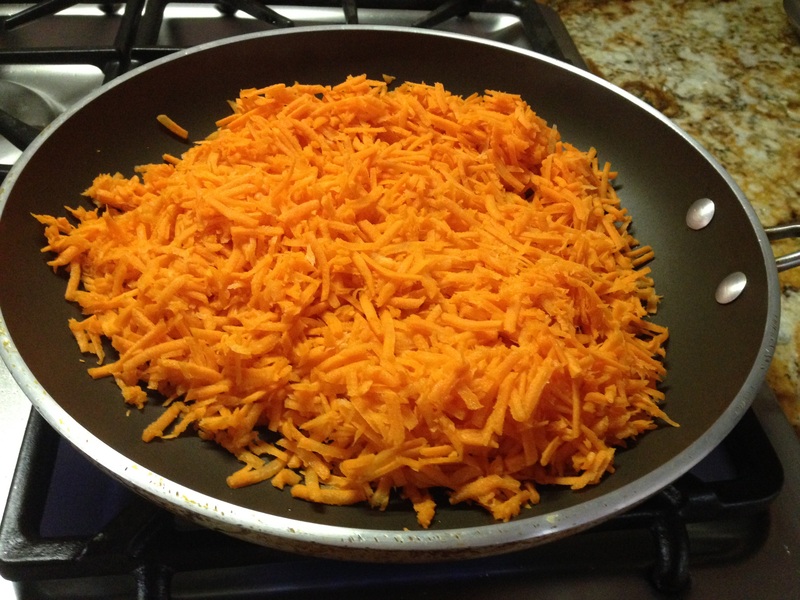 You will need a food processor to shred the carrots, and that takes the hard work out of it. It can be made the day before guests come over. 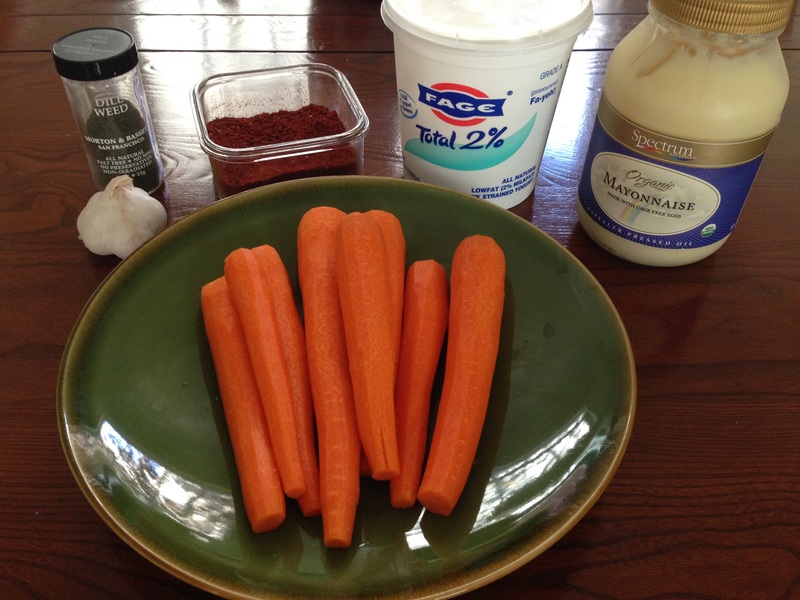 I liked muhammara the first time I tried it as a child. 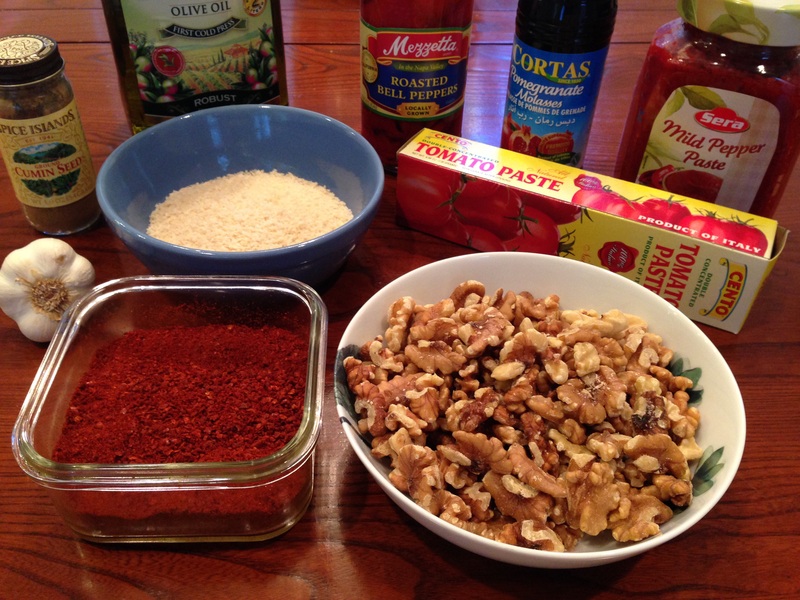 Muhammara is a spicy (depending on how you make it) spread made from crushed walnuts, red peppers, and bread crumbs. My Armenian grandmother from Aleppo used to make this super spicy. My version here isn’t so spicy because I really wanted my children to eat some as well. I made mine with mild red pepper paste and only slightly spicy Aleppo pepper. If I had made it just for my husband and I, I would have used a hot pepper paste and a hotter Aleppo pepper. The spicier the better in my opinion. This no-cook dish is fairly quick and easy to put together and can be made the day before you have guests over. It only takes about 15 minutes to put together from start to finish. I used a store bought jar of red peppers (any brand) because it cuts the work down (no roasting and peeling) and it’s also far cheaper to buy a jar of peppers than a whole bunch of fresh red peppers. Two ingredients, the red pepper paste and the pomegranate molasses, will be difficult to find in a regular supermarket. I’m lucky enough to have a Middle-Eastern market fairly close to my house. If you can’t find these ingredients around, you can order them from Amazon.com. It would be worth it to have these ingredients in the house for other dishes. I often make a typical Armenian peasant dish at home called “eech,” which is basically bulgur with onions, tomatoes and red pepper paste. I’ll post that recipe soon. The Middle-Eastern versions of red pepper paste are only made with pureed red peppers and come in two versions, mild or spicy. 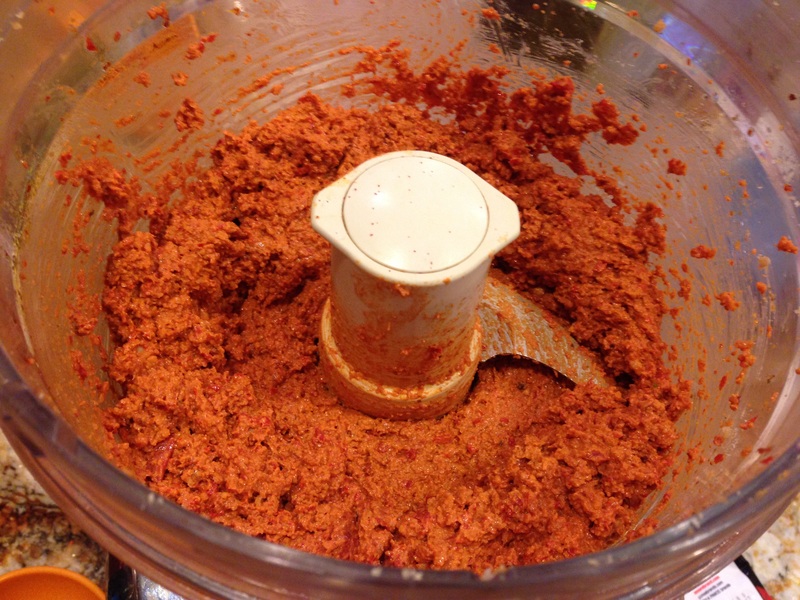 To prolong the life of a jar of red pepper paste, I divide the paste into half-cup portions and keep in the freezer. 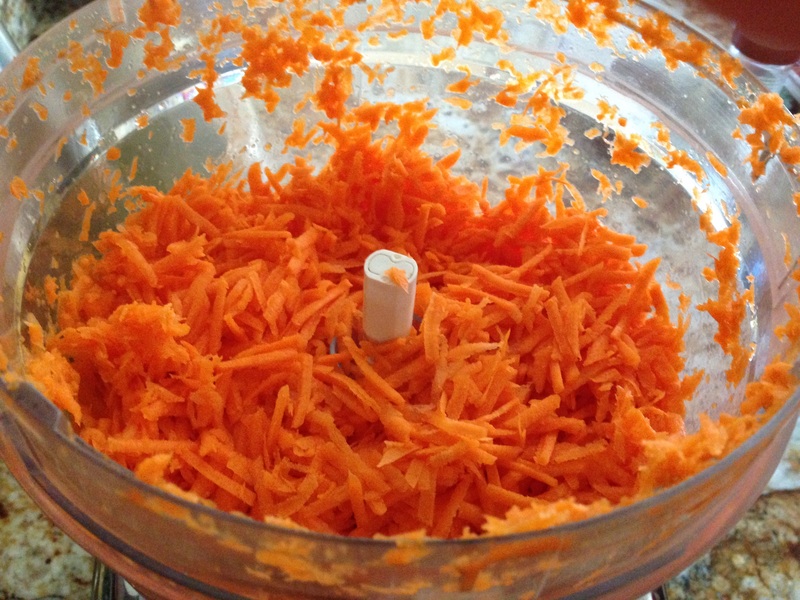 Peel the carrots and shred them using your shredder attachment for food processor. 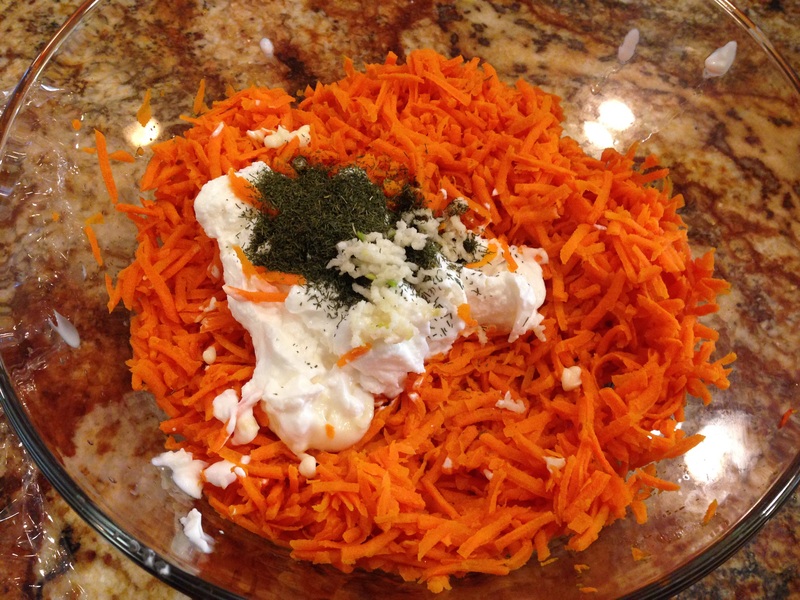 If you don’t have a food processor, you can buy pre-shredded carrots from the supermarket. Add the olive oil to a large frying pan and turn heat to medium-high. Sauté the carrots for about five minutes. They should start to wilt but still be somewhat crunchy. Put carrots in a shallow bowl and allow them to cool for about 30 minutes. Next, add all the rest of the ingredients with the carrots and mix well. You can serve right away or store in the fridge for when guests come. Add all the ingredients together, except for the walnuts, to the food processor and pulse until the ingredients are mixed through, about 10 times. You may have to stop in between pulses and scrape the sides occasionally. Next, add the walnuts and pulse another 7-10 times. You don’t want the walnuts to be too finely ground. You should be able to taste small pieces of walnuts in the spread. The texture should be chunky. You can serve right away or keep in the fridge until guests arrive. I like to drizzle a little bit of olive oil on top before serving. Serve both spreads with plenty of crusty bread!